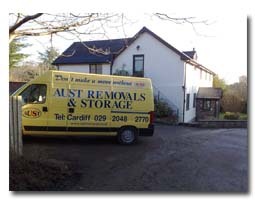 If you're moving home and would like to know about the services we are able to offer to make your removal as simple as possible.. you have come to the right place! 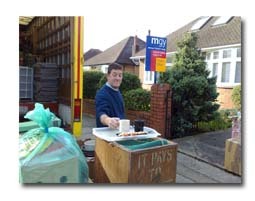 Packing materials, boxes, garment transporters and mattress and linen bags can be loaned for the duration of the move. Also white paper for china and glass can be provided. 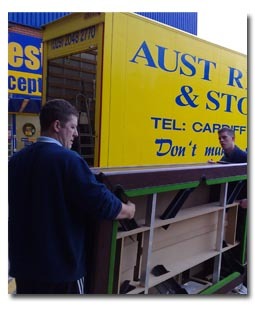 A complete removal preparation service which will release you from all your packing problems can be provided. 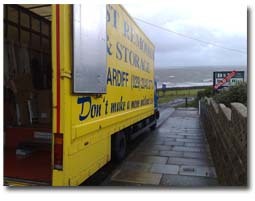 We carry out the service carefully and efficiently before the actual removal and we pack everything. Boxes should not be over packed as they are stacked on top of each other in the van. You may, however, fill them with books without worrying about the weight. Deep freezers present no problem for us. Pictures and mirrors will be wrapped in blankets. Rented TV sets and video recorders can be carried. We will carry your indoor plants with great care but this must be at your own risk. If may also be possible for you to travel with us if you do not have your own transport, you must contact us beforehand. Make sure that the keys for your new house are available. Arrange for gas and electric meter readings on your day of departure. Arrange for electricians, plumbers or gas fitters to carry out any necessary disconnections. Make arrangements for your pets if you are not going directly to your new home. 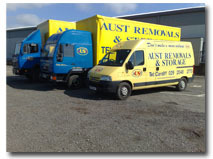 Book your removal as soon as you know the exact date of your move. Make sure the foreman is aware of any special instructions you have to give. Do not pack any inflammable materials. Warn the foreman if you are aware of any difficulties of access at your new house. Remember that only you know which, if any, items are to be left, and make sure they are not loaded.